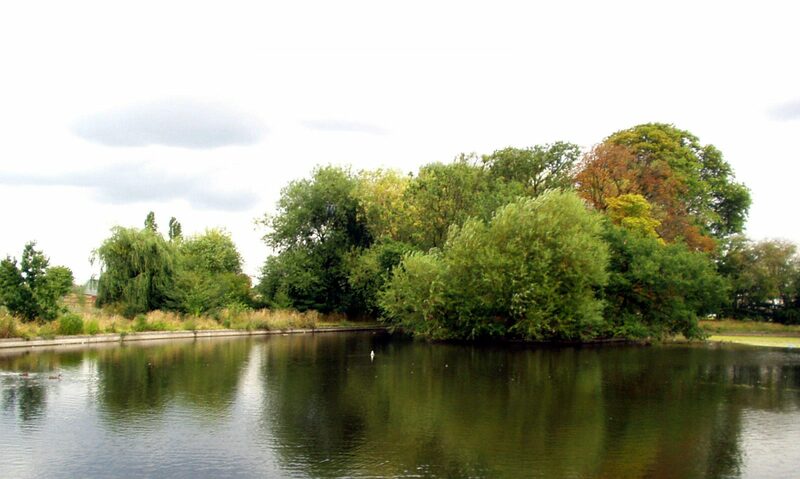 Consultation on the future of the old wooden adventure playground site in Lordship Rec. Meeting at Lordship Hub at 3.30pm on Sunday April 14th after the Friends of Lordship Rec Meeting. All welcome with your ideas and suggestions. This meeting is run by the Lordship Sports and Activities Consortium (LSAC) and Friends of Lordship Rec and is just the beginning of forming a plan for the area that suits as many people as possible. Funding will then have to be found to carry out the finally agreed and designed plan, so it is no quick solution. Please come along and be a part of it. On 7th April there will be a 5K sponsored walk around Lordship Rec in support of our 2 Marathon Runners raising funds for Lordship Hub. Get your family and friends to sponsor you (minimum total £5). Register from 9.30am at the Hub and walk starts at 11am. At 10am our 2 marathon runners (sports professionals) will run a special workshop on preparing for running and exercise. There will also be other fun attractions and great raffle prizes. Contact Val@lordshiphub.org.uk for more information. 2 Lordship Rec and Lordship Hub supporters, Belvin and Isaac are running the London Marathon in April to raise much needed funds to sustain Lordship Hub which receives no other outside or Council funding. Please support their huge effort to raise funds for this good cause by going to www.lordshiphub.org.uk and choosing Marathon Donations from the main menu or contact the Hub for other ways to donate. Thank you! Sunday, 14th April 2019 at 2pm at the Hub. All welcome to talk about all things to do with the Rec. Special meeting about wooden adventure playground. Sunday, 14th April 2019 at 3.30pm at the Hub after the regular friends meeting. To begin discussion about what should be put in its place now it has been condemned and demolished. All interested people welcome. If you would like to know how the Hub is doing and what plans there are for the future or if you would like to be part of that future you are very welcome to attend Lordship Hub AGM at the Hub from 2pm on Saturday 23rd March. There will also be some free class taster sessions from 11am. Also there will be a street art workshop for young people ( £7 for your own board and paint) starting at 12. Meet at 9.45am at The Hub. Come for the whole, or just half the day. Bring a packed lunch, or lunch to share or buy from the Hub Cafe. 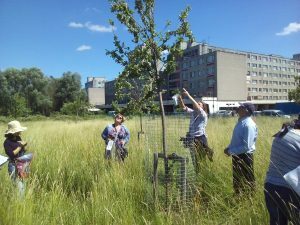 The orchard in lordship rec is being developed using forest garden principles and it is hoped that some people who attend will be local people who can use the knowledge gained to help with the ongoing development of the orchard, if they wish to. However, it’s not restricted to local people, all welcome. Tutors will be Michelle Lawson, professional gardener who also attended the Urban Orchard Management course and is keen to share grafting skills; and Marina O’Connell, organic fruit grower and permaculture tutor from The Apricot Centre. You will go home with a young apple tree in a pot, so please bring something to carry it in. Come to hear about the achievements of The Friends over the past year, find out about any future plans or bring your own ideas and suggestions. PLEASE READ OUR ANNUAL REPORT / BULLETIN!